Top 10 Internal Communication Ideas That Totally Rock! Good internal communications makes good business sense. Unless your employees are communicating effectively, it will be difficult to have a highly-committed and well-performing workforce. Communication also helps create a can-do culture and leads to a learning organization. If you are looking to totally rock how your management team and employees communicate, below are 10 internal communication ideas to get you started. 1. Integrate video into your internal communications strategy. However, many organizations still rely on lengthy emails when communicating with internal departments. Such organizations fail to realize the power that video has both outside and within an organization. Keep videos short and punchy, make them conversational, record interviews, and use animations. ScreenFlow - ($99) Allows you to record the contents of your entire monitor while also capturing your video camera, iOS device, microphone and your computer audio. iMovie - ($14.99) Easy to use video editing software for Apple Mac. 2. Launch an internal social network. 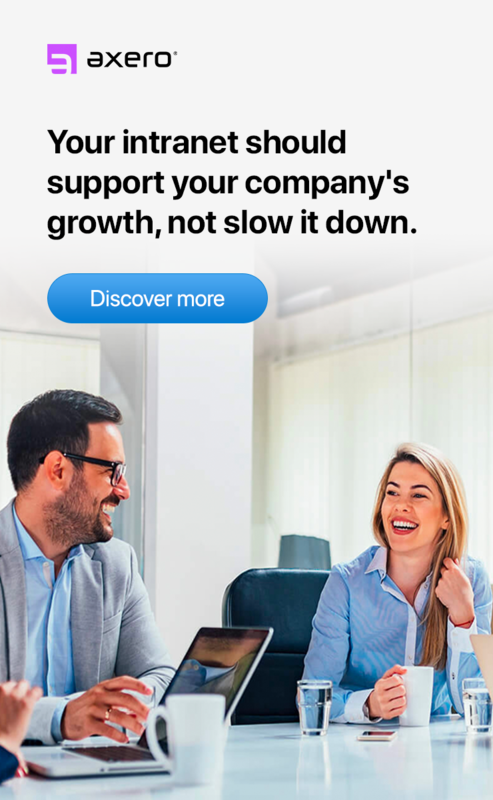 Adding internal social networking to your corporate communications strategy has a flattening effect on corporate hierarchy, enabling and encouraging people to connect with each other. It also helps your company search, source, identify, and consolidate employee skill-sets. Deploying an internal social network is one way to introduce social media into an organization. Social networking software can be a great information resource for an organization because employees use and contribute to it. Users can also decide on the type of content and the people they want to interact with, similar to what is commonly found on public social sites like Facebook and Twitter. With most employees already using public social sites, using an internal social network will not seem challenging since they already use familiar elements. Ultimately though, the power and success of social media in your internal communications plan will depend on the enthusiastic participation of everybody within the organization. 3. Start an open door policy. Empowering your employees to have and share their opinions is one of the most effective ways to improve communication in the workplace. It is also a great way of how to motivate employees in your organization. Rather than settle for what the management team says, encourage two-way feedback and emphasize that their opinions will not affect their standing in the organization. Having an open door policy reduces office politics and helps employees realize that their opinions and thoughts matter ... as well as having an impact in the organization. 4. Set up a wiki for sharing and building a knowledge base. Wikis are excellent tools for documenting personal information, knowledge management, or anything of interest surrounding projects, tasks, and teams. Within an organization, these tools are great for information sharing, building a knowledge base, and for responding to queries from employees. Wikis are especially encouraged within an organization or departments that thrive on creativity and shared ownership. They establish platforms where everyone, including senior management, can search and locate contributions from the team. 5. Deploy social intranet software. Social intranets are a great way of empowering employees and teams with information. 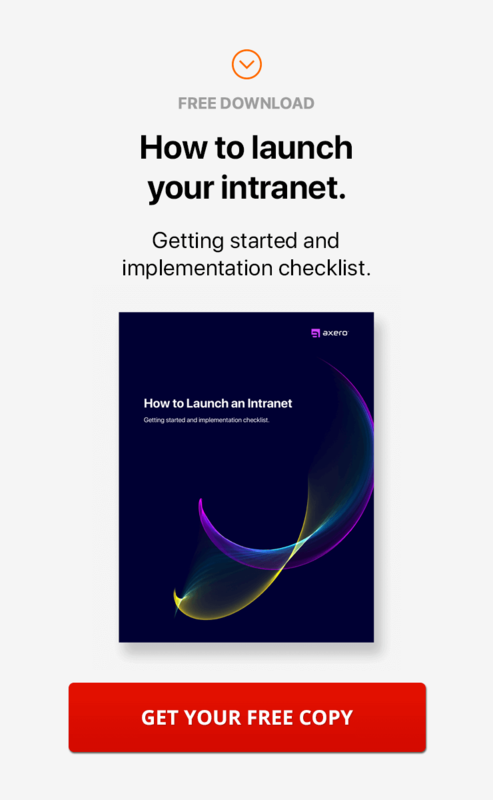 Rather than keep them in the dark, social intranet software helps improve online collaboration, employee engagement, and access to information. This approach has been shown to increase productivity and enhance internal communication. Executives and management can use social intranet software to disseminate information, offer updates on company policies and changes, as well as keep in touch with the rest of the organization. Employees, on the other hand, can connect directly with management right on the intranet contributing their opinions, thoughts, and insights on posted content. This type of digital workplace software enhances and encourages open communication, something that all organizations should strive to achieve. By using metrics in reports, you are more likely to encourage growth. Adding visual representations that show growth trends will enable teams to see where they can focus without even having to tell them to do it. Metrics speak louder than words and make your internal communications strategy more impactful. 7. Communicate up and across. In most organizations, communication typically happens from the top down. The management team feels largely responsible for communicating necessary information and deliberating among itself with little to no input from the employees. However, to truly have an impact, consider having a bottom-up internal communications plan where employees can contribute their ideas and opinions ... and have these discussed openly by other employees and management. By involving the non-managerial team in decision making, it is likely to enhance collaboration and appreciation for what management is doing. Open up the lines of communication. When management communicates news, announcements, or updates, allow employees to talk back. This is as simple as providing a way for them to add comments or ask questions. 8. Be transparent with company goals and objectives. Transparency of goals drives performance because it creates both a sense of urgency and commitment. By telling everybody within the organization your goals, you are also helping them commit to pursuing those goals in their own way. Goals and objectives that are publicly available to your employees also help put meaning into metrics. Updating employees on your progress of achieving goals and objectives, with metrics, gives it a whole new meaning ... helping everybody see how their efforts are contributing to the goals. This is a powerful means of improving internal communications to help meet expectations. 9. Publish a monthly company newsletter. Publishing a monthly newsletter gives you an opportunity to increase awareness and understanding of your company, its products, and its services. This is especially important for new employees who may need to get acquainted with company processes and procedures. A newsletter can also be an effective business communication tool for updating employees on recent developments and metrics. Since it is published only once a month, it is likely that it will not be pushed aside as a noise (spam) and will be relied upon as an important communication tool. You could go through all the trouble of having a paper newsletter designed, formatted, printed, and then dispersed ... or ... you could dedicate a blog on your company intranet to be the newsletter. If you have your newsletter online, it makes it much easier for your employees to access it ... plus, as we discussed in point #7, you can collect comments and feedback as well. 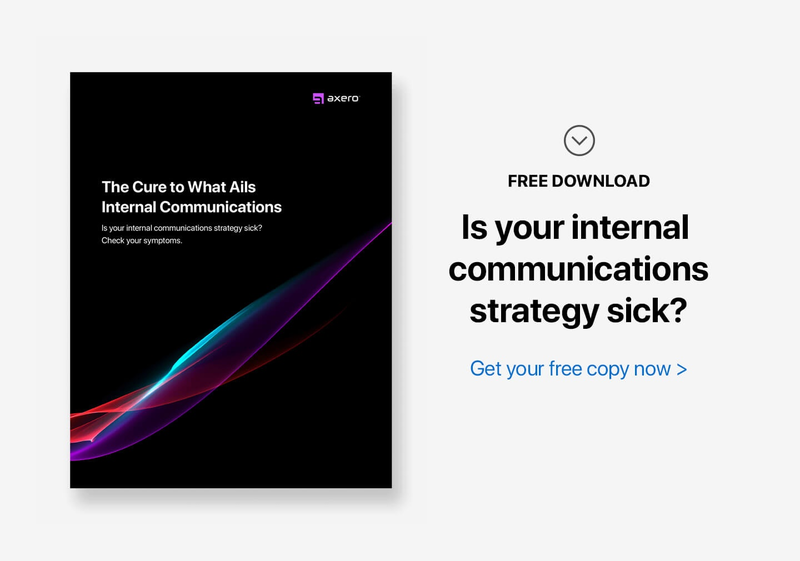 Companies with highly effective internal communications are 7X likely to use leading-edge communication tools, according to one report. Today, mobile devices are changing the face of communication for all businesses. The use of smartphones and tablets for work-related sharing has enabled companies to operate across a number of geographic locations and time zones effectively. Using smartphones and tablets can also greatly improve your internal communications strategy. There are many apps available, like a mobile intranet, that enable companies to push notifications and allow employees to respond right from their own device. This is not only convenient for them, but also ensures communication channels are open at all times for both the management and employees. 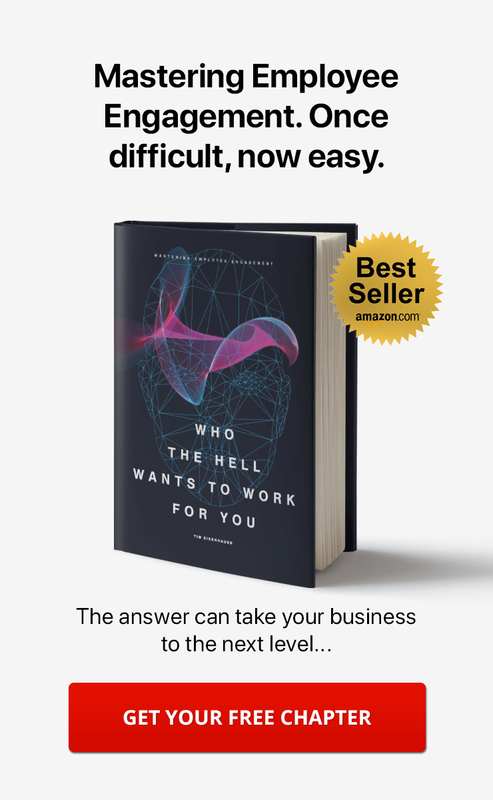 The people inside your organization are what make your company possible ... and unless they are communicating effectively, it is difficult to know where you stand. The preceding 10 internal communication tips will help get you started in your quest to gain an efficient and well-performing workforce. Employees are the heart and soul of an organization, thus it’s critical to pay attention to their needs. An engaged and committed employee workforce increases drives business results. if face-to-face communications is not possible, video is the next best vehicle, particularly when it can be moderated providing two-way dialog.